What do I miss about our time in Los Angeles? 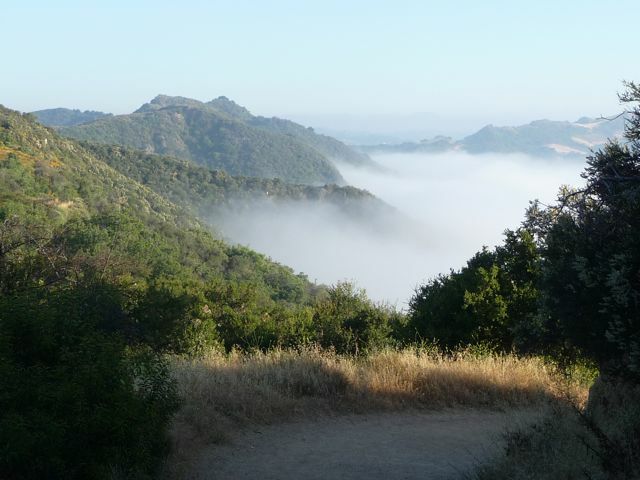 There are a lot of things - but early morning hikes in Topanga State Park is definitely on the list. 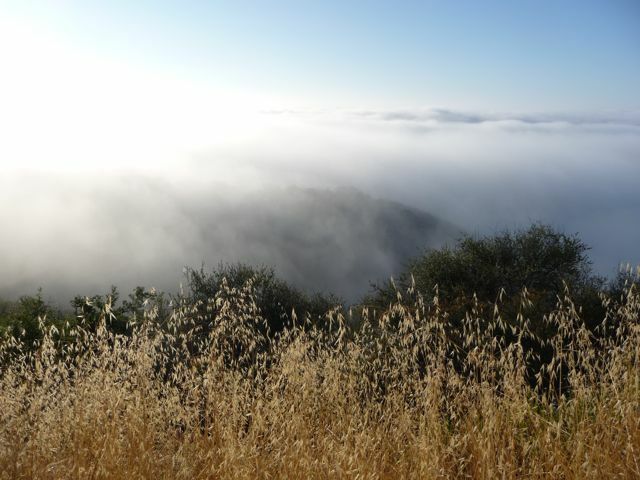 One of my two favorite hikes was the Upper Temescal Ridge trail - accessible from the top of the Palisades Highlands community of Pacific Palisades. The solitude - especially just before sunrise - is incredible. 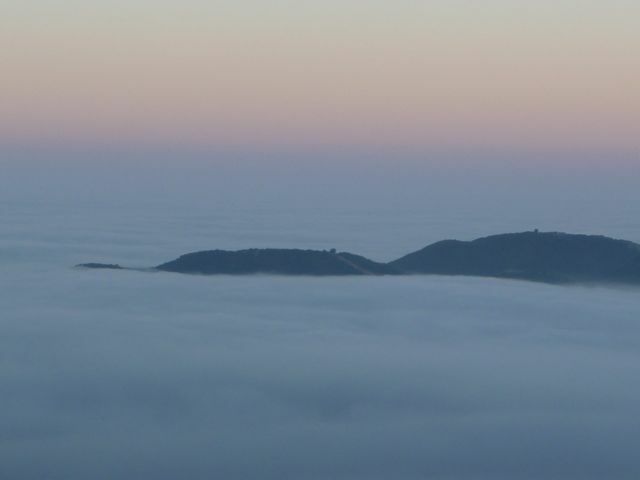 As well as the early morning coastal fog. 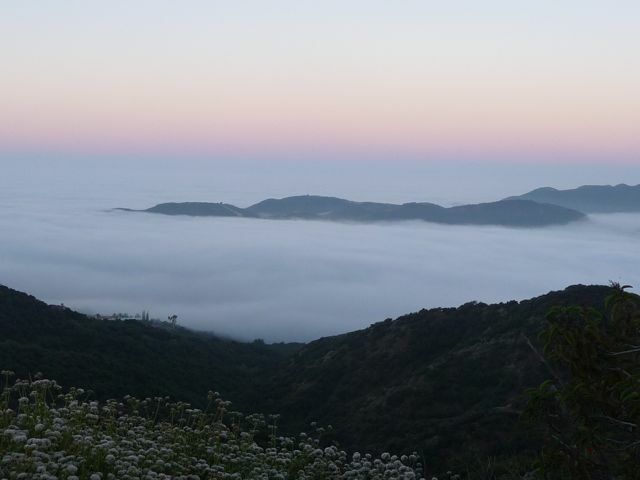 This is looking west towards Topanga Canyon. And south towards Paseo Miramar trailhead. On a clear day, the Pacific Ocean is visible in the background. This is looking east along the ridges of Brentwood, Beverly Hills and Hollywood. The massive San Gabriel Mountains are in the distance. Another view of the Paseo Miramar trailhead, which has a much steeper trail and is a great workout, and my second favorite hike. More on that in a bit. Sunrise. Good time to hiked back to my car. What I love about this hike is the solitude. It was a Saturday morning and I didn't see anyone else until getting back to the parking lot. 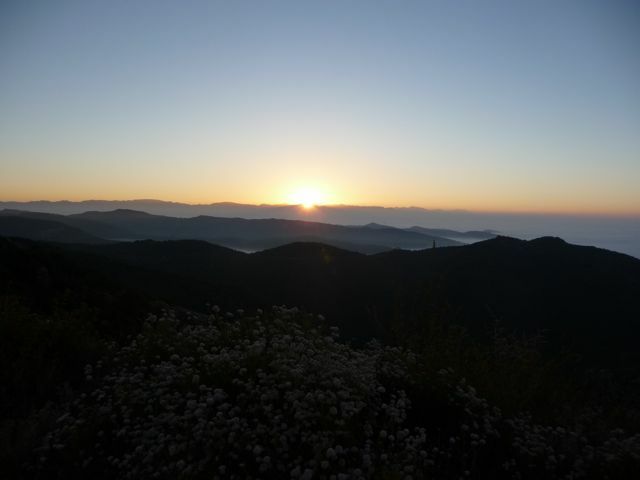 I consider the Upper Temescal Ridge ridge trail to be one of the very best hikes in Los Angeles. Here's a link to more information on a previous post. It was early and I had enough time to drive over to the Paseo Miramar trail, located off of Sunset Blvd, about 15 minutes away. 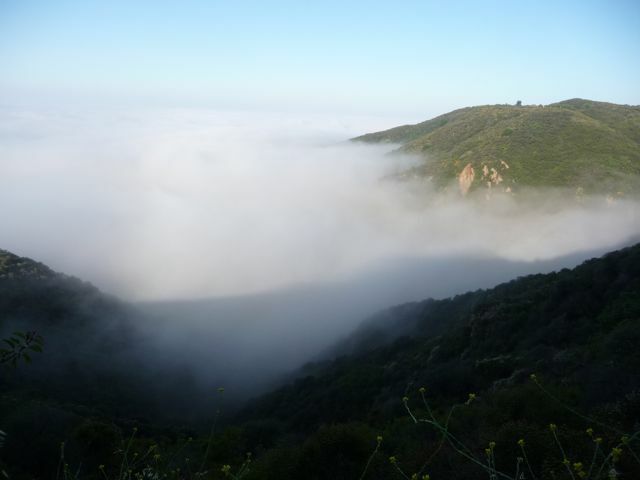 Starting at lower elevation, I was shrouded in cool, coastal fog. 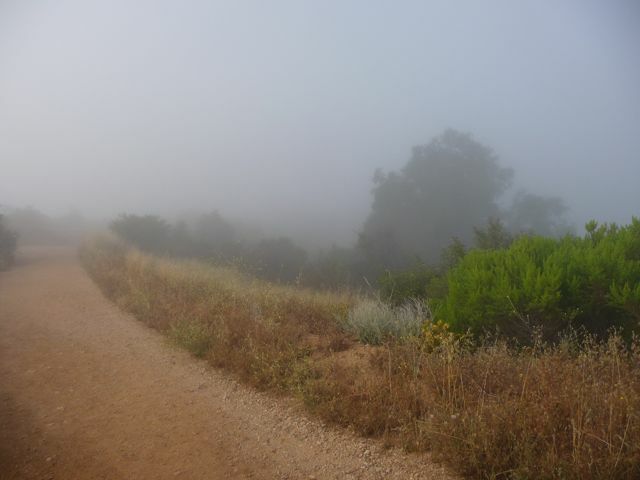 Here's a link with more information on the Paseo Miramar hike from a previous blog post. 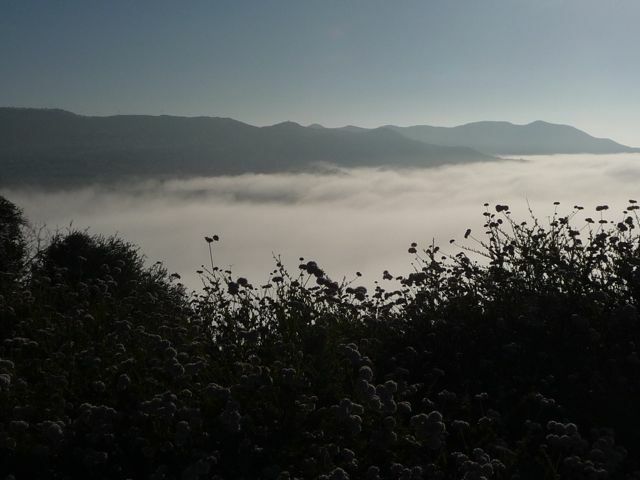 I eventually popped out of the fog and into the brilliant sunshine of a summer morning. 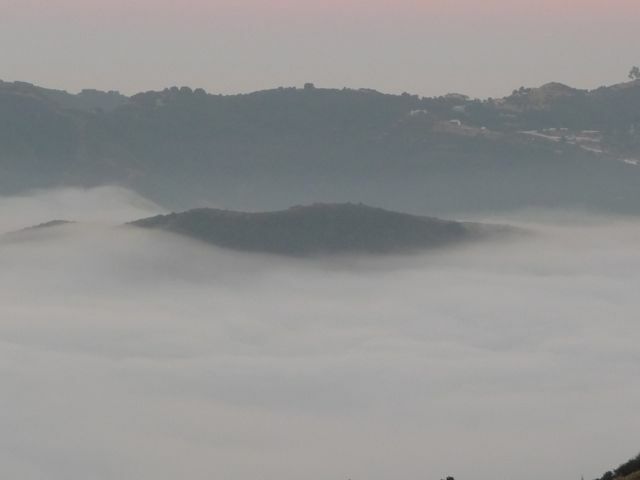 Love the look of fog against the hillsides. Years earlier while living in L.A., I had a chance to hear a professor at Cal State Northridge speak on Christian stewardship of the environment. He made some convincing arguments, including a statement I had never thought of before: the ability to see and enjoy the creation helps point individuals to the Creator. 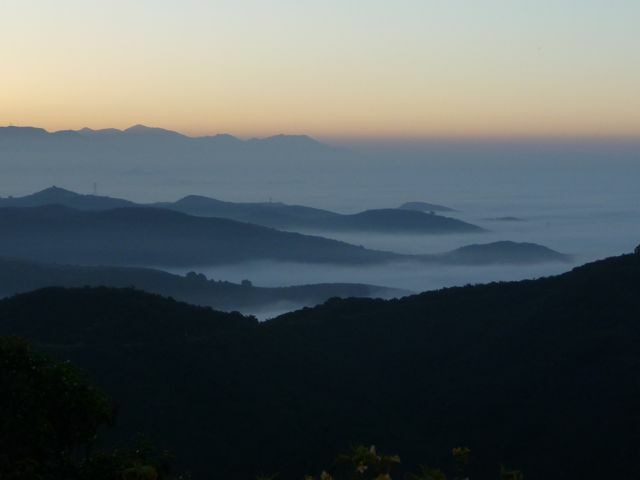 The New Testament states that "For his [God's] invisible attributes, namely, his eternal power and divine nature, have been clearly perceived, ever since the creation of the world, in the things that have been made." The complexity and design of life on our little planet clearly pointers to a Designer. Los Angeles has both wonderful climate, beaches, the ocean, mountains, palm tree lined boulevards .... as well as a sprawling and sometimes gritty urban environment. 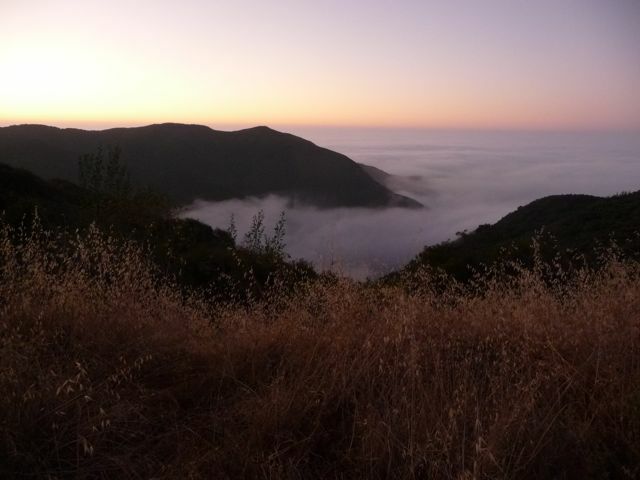 I appreciate the work of men and women who worked tirelessly to see places like Topanga State Park become a reality. It didn't just "happen." Helping improve not only the quality of life, but the ability to see and enjoy the Creator's handiwork. 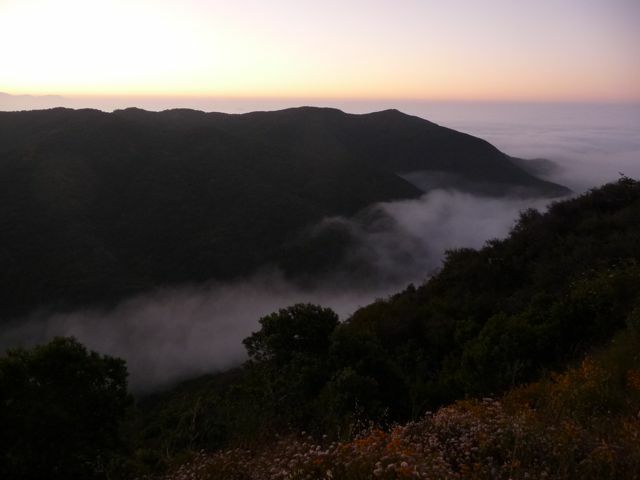 I like to think of the Santa Monica Mountains as Los Angeles' backyard. Sure, coming from other parts of the city - it's a bit of a drive. But sooo worth it. 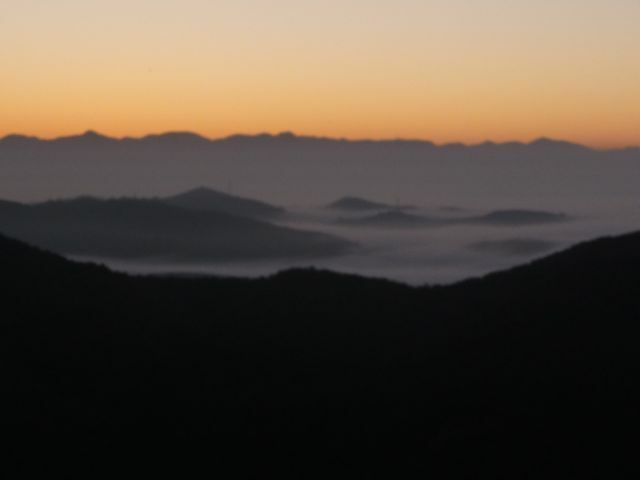 Here's a couple links some additional "fog and mountain" photos from previous posts. 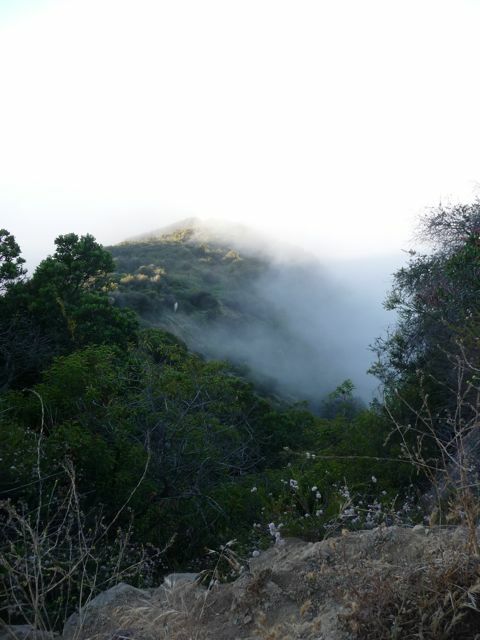 Above: looking east towards the Temescal Canyon Ridge trail - where I was hiking an hour earlier. Either of these two hikes would be great. It's amazing to remember that they're both within the city limits of Los Angeles. And how cool was it to enjoy both of them in a single morning? 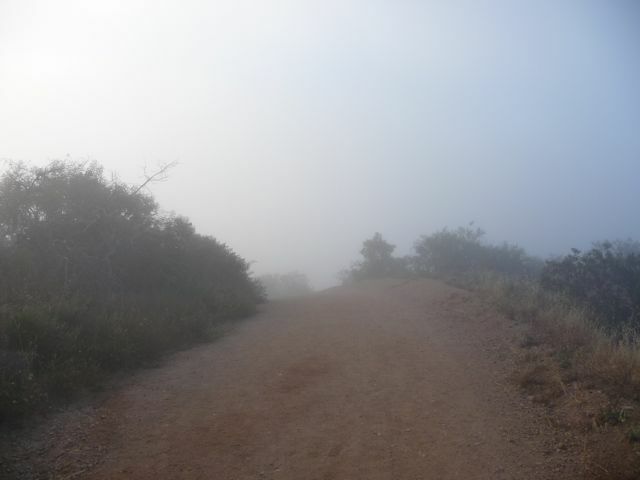 Back down to my car, I dropped back down into the fog. Unlike the Upper Temescal Ridge, the Paseo Miramar hike if fairly popular - so plan on hiking a couple of blocks to the trailhead. And regardless of what time of day you're there, please be considerate of the neighbors.